Indian limited overs captain MS Dhoni launched the trailer of his eagerly awaited biopic MS Dhoni – The Untold Story in Mumbai. 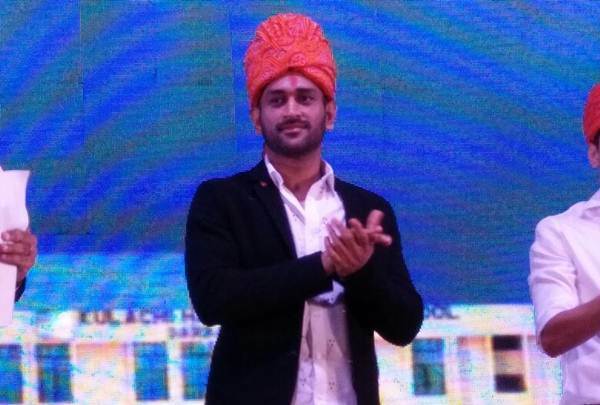 A grand event was organized by the producers of the movie where not just the lead actor, producer and director but also the man himself Dhoni was present. Fox Star Hindi had also organized contests and promised the winners a chance to interact with Dhoni during the launch. Sushant Singh Rajput who is playing the character, MS Dhoni, the director Neeraj Pandey all looked pleased with the way things were going. But in the same hall, there was a section of people present who were left unattended and rather fuming. DNA reported that Fox had invited media to the event and told them that there will be a press conference where they will have their chance to interact with Dhoni. But after the launch of the trailer fans were given an opportunity to ask questions while the media which had been kept waiting for almost 4 hours was later informed that Dhoni had to leave and so he won’t be answering any questions from them. The journalists weren’t really impressed with the kind of management shown there and a few even decided to walk out of the event. When the reporters present pointed it out to a Fox representative about this, he had a rather hilarious excuse. “We were told Dhoni doesn’t want to take questions from the media. How could we inform you at the last moment?” he said. After being ignored and on receiving no genuine reply the media also tried to get in touch with director Neeraj and producer Vijay Singh about the issue but they believed the matter was too petty for their reaction. In fact, they even made fun of the situation which definitely didn’t go down well with the reporters present there.